Do you want to have the one-of-a-kind clock with unique design? 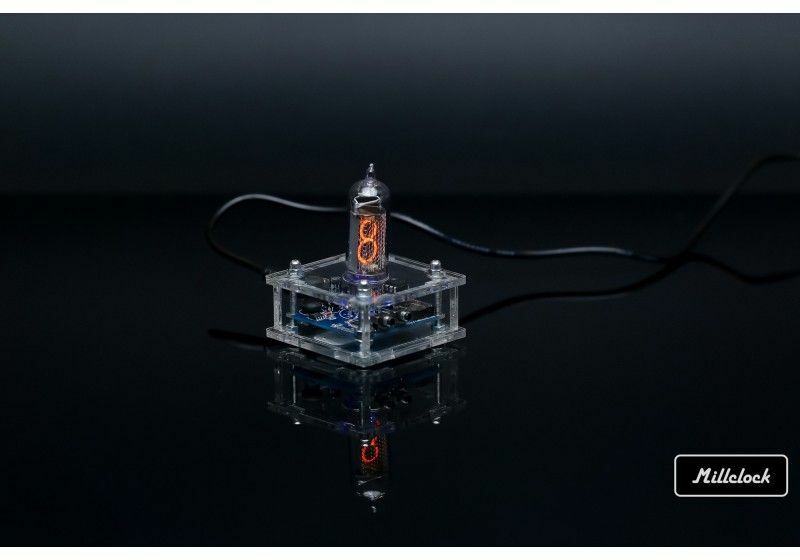 Then you should turn your attention to this nixie tube model. It is made in Ukraine being marketed in its original packing. 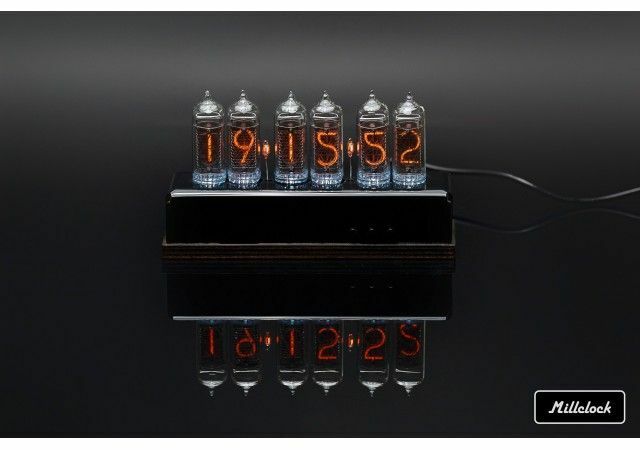 Do you want to have the one-of-a-kind clock with unique design? 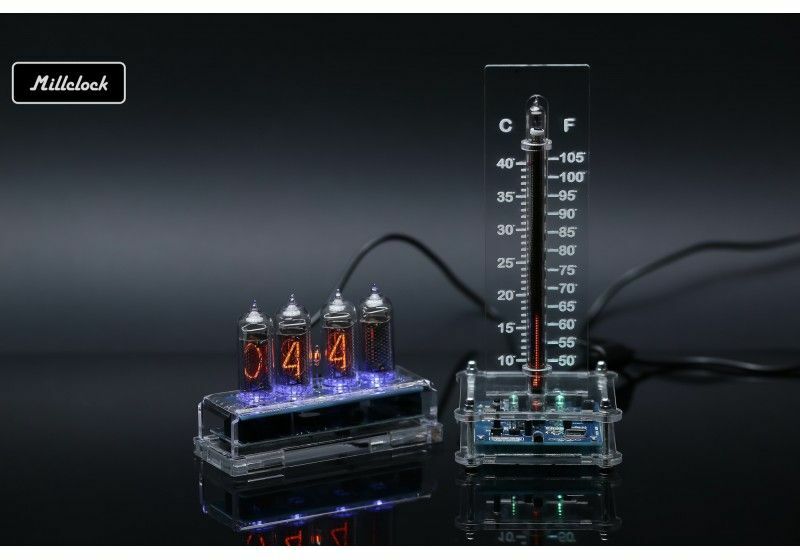 Then you should turn your attention to this nixie tube model. It is made in Ukraine being marketed in its original packing. All the products of Millclock are thoroughly tested and assembled by hands. You can be sure to get the item of high quality and with failure-free mechanism. 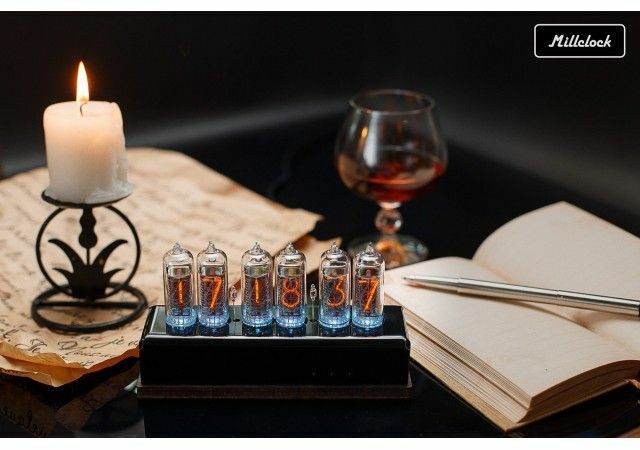 You have a chance to enjoy a wide range of options with this IN-14 nixie tube clock with 6 tubes. This clock is available with a slot machine effect. You can benefit from turning to the night mode just with one click. It is easy to settle hours, minutes, seconds, month, year, and choose one of 99 positions of colors and even brightness of the backlight. The numbers are switched gradually as well as the new performances gradually replace the previous ones. There is also the mode of separation colons, GPS, and, of course, you can be sure to wake up exactly when you need thanks to a built in alarm. 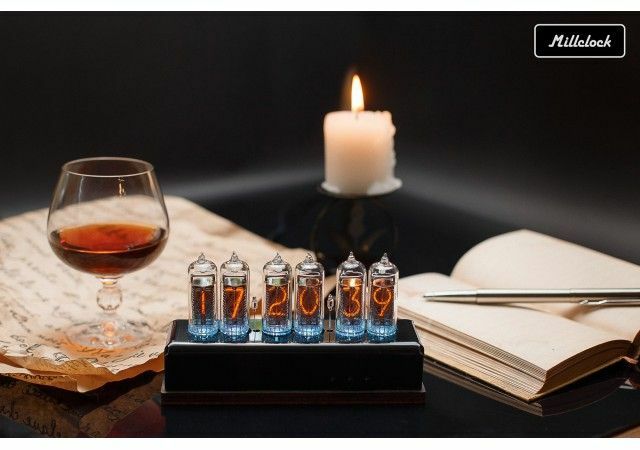 • The time is indicated precisely. • There is an acrylic and wood enclosure, adapter. • The options are easy to be set and changed. 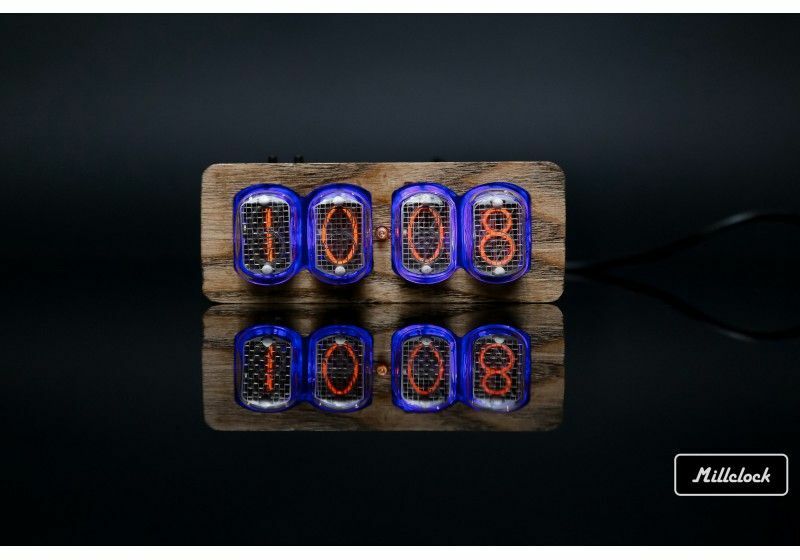 • The colors of digits light are adjustable and change at various speed. 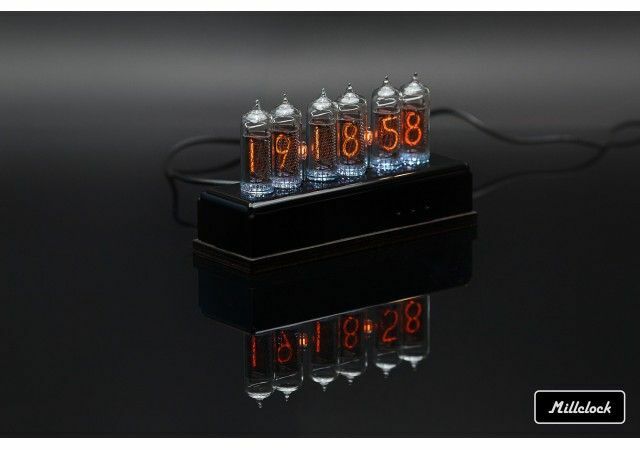 • This clock lists the best price. • The details and components of high quality. The cathode anti-poisoning routine makes the service longer. 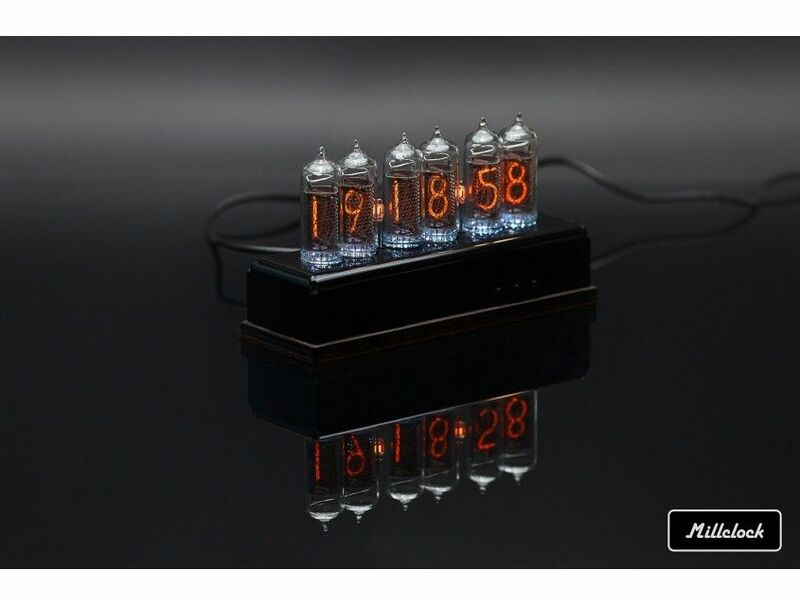 You should buy this nixie clock at our e-shop under the best conditions existing at the market. 12V/1A (adapter included, EU socket). Delivery took a bit longer than expected so didn't arrive for Christmas, however was worth the wait! Was very well received and works well, flicking between date and the time complete with different colour lighting. Excellent customer service. Overall very happy and would recommend! Brilliant clock thank you my partner absolutely loved it, so much so she wants another one for the lounge now.